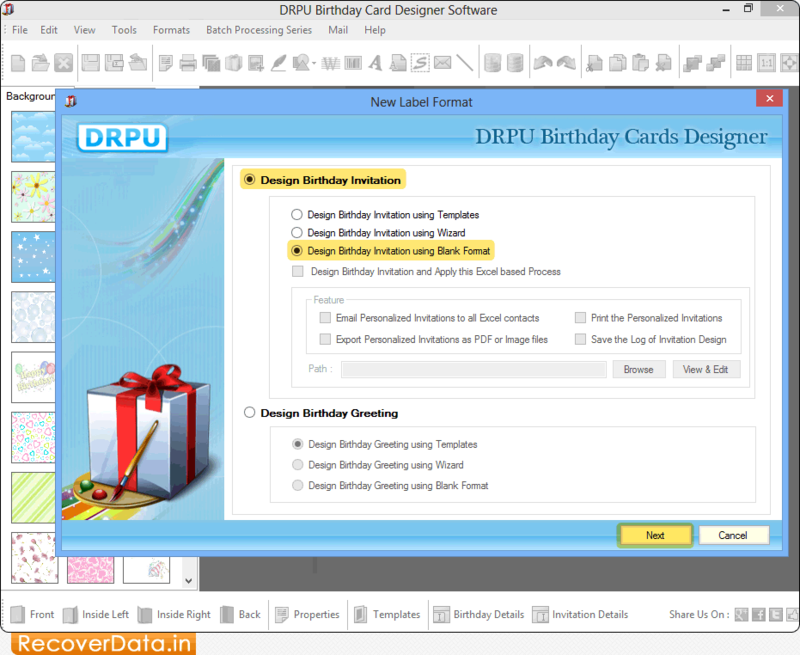 Select 'Design Birthday Invitation using Blank Format' option and click on 'Next' button to continue. 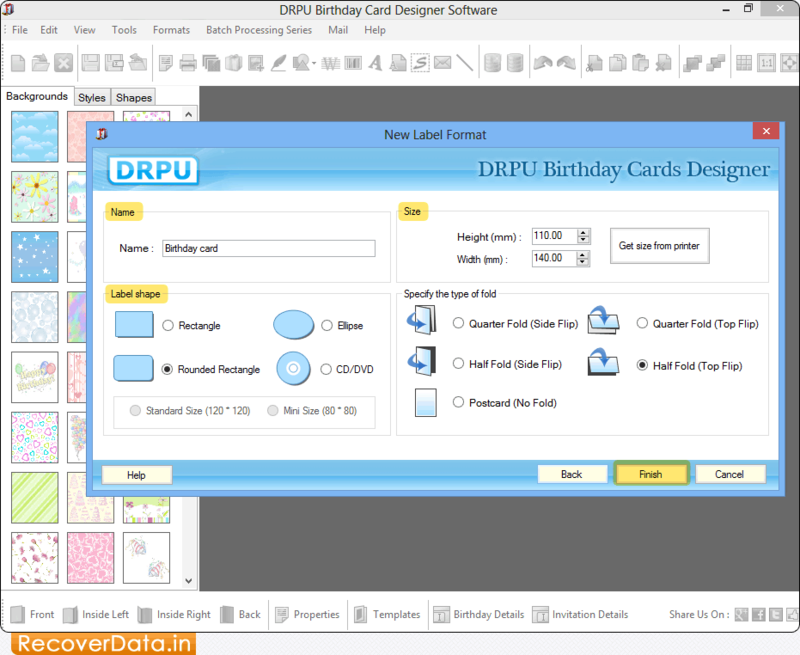 In New Label Format, you can specify Card Name, Label Shape and Size according to your needs. 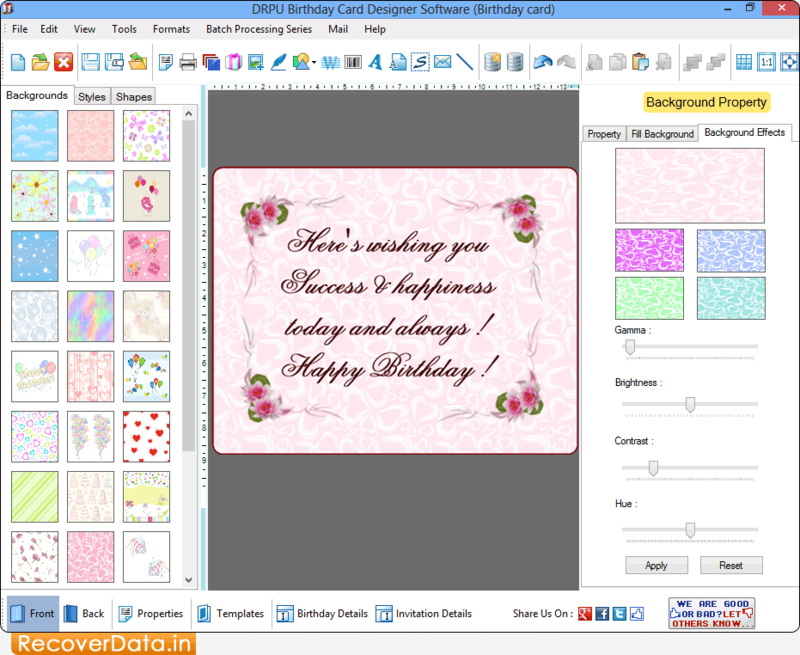 Adjust background effects using Background Property. 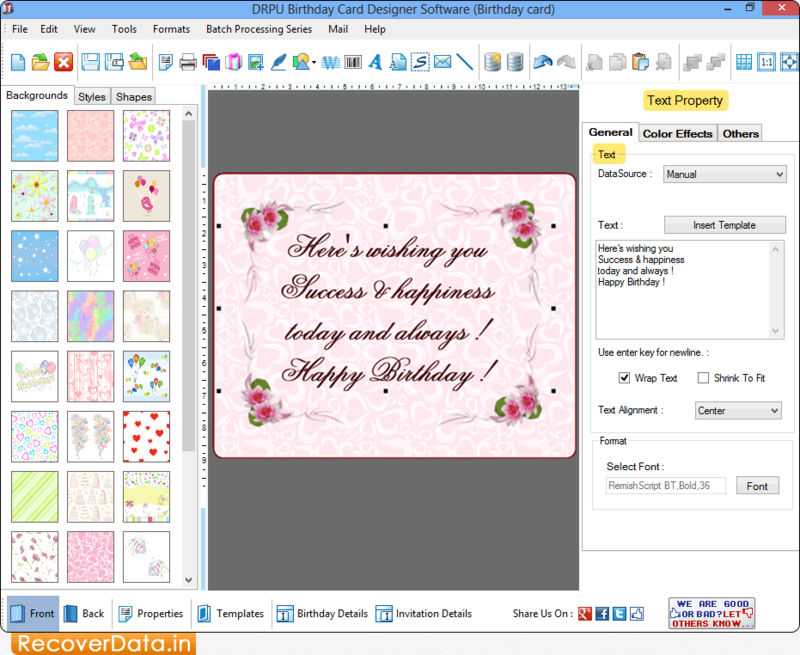 You can add text on birthday card using 'Text Properties'.